Image from page 2 of Sales Clipper, Vol. 17, No. 8, Aug. 1959. 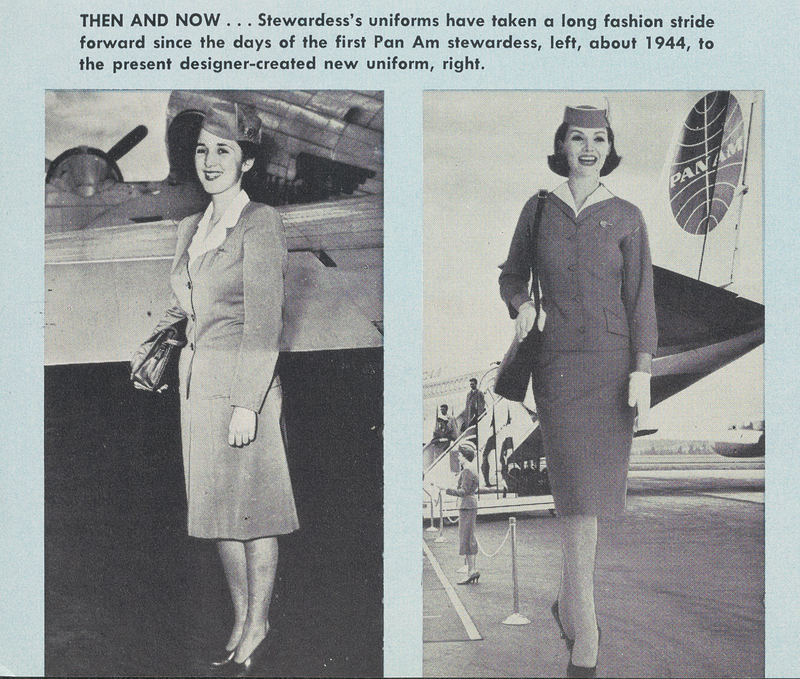 Caption reads: "Then and Now: Stewardess's uniforms have taken a long fashion stride forward since the days of the first Pan Am stewardess, left, about 1944, to the present designer-created uniform, right." This item is part of object asm03410058530002001. To request this item, use this number to search for it in UM Libraries' Digital Collections. 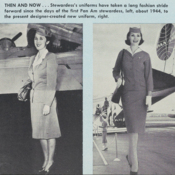 Pan American World Airways, Inc. , “Pan Am stewardesses from 1944 (left) and 1959 (right) modelling the company's employee uniforms,” UM Libraries Digital Exhibits, accessed April 22, 2019, http://scholar.library.miami.edu/digital/items/show/1797.